As a rule, we need taking some steps to make any antenna to be resonant on several amateur bands. The body of the aerial needs some special constructive elements to tune it into a resonance within different amateur bands. These elements can be concentrated (LC, L, C) or distributed (loops, lines). I.e. 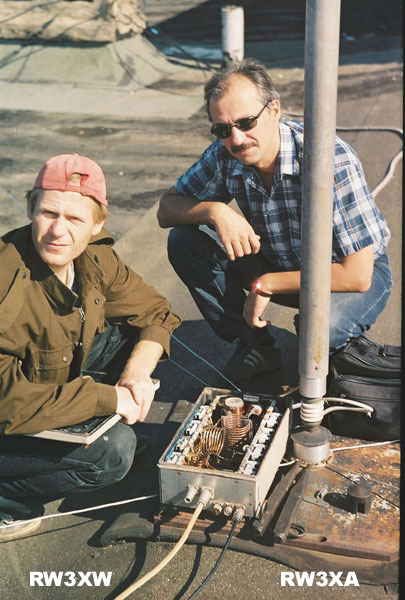 the antenna is broken up into several parts in between which there are those adjusting elements providing a resonance of the aerial. The more such elements, the more difficulties with their optimum adjustment, and reliability of a design as a whole leaves much to be desired because it is cut by insulators. But a multiband vertical can be made upon the other constructive principals: the radiating part of the antenna through a switchable matching network to the feed line. In the other word, input impedance of a random wire is of a complex value, so the matching network transforms input impedance of it into feed line impedance. Naturally, for the reason of an accurate matching on each amateur band it is necessary to separate matching networks.